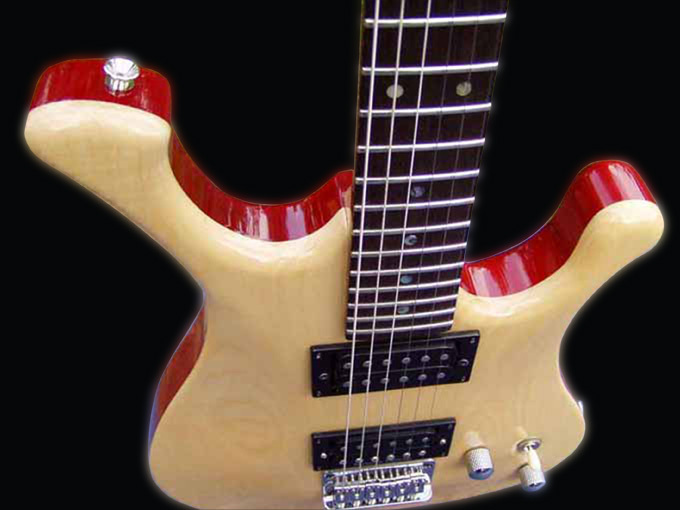 Shape: An electric guitar with arched top plate in the non - standard shape and non-traditional combination wood. Body: It is sandwich board from ash and alder in the proportion 1/3. 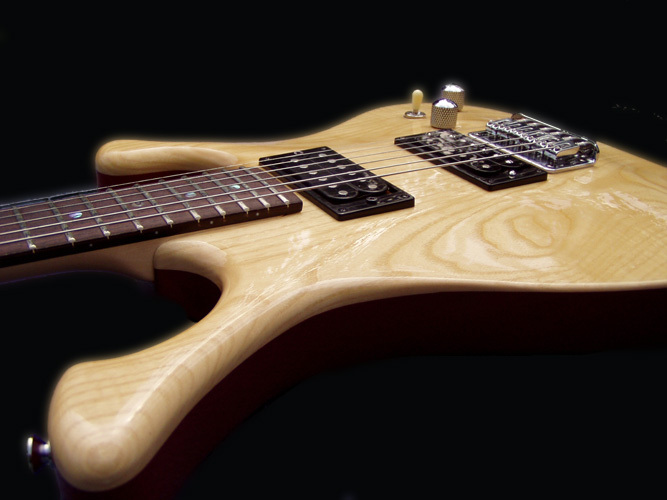 Thereby is achieved acoustic range, which can't be achieved on the guitars from single ash or alder. Neck: A neck is shaped in D profile and a declination of the head is 15 degrees. Other: String are attached in the non tremolo bridge and healding from back side. 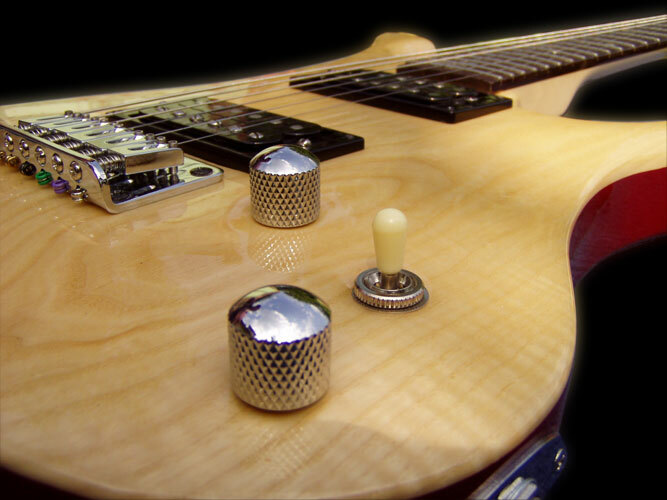 Sound: Sound picking is provide by set of two Seymour Duncan pickups SH1 (N) and SH1(B). 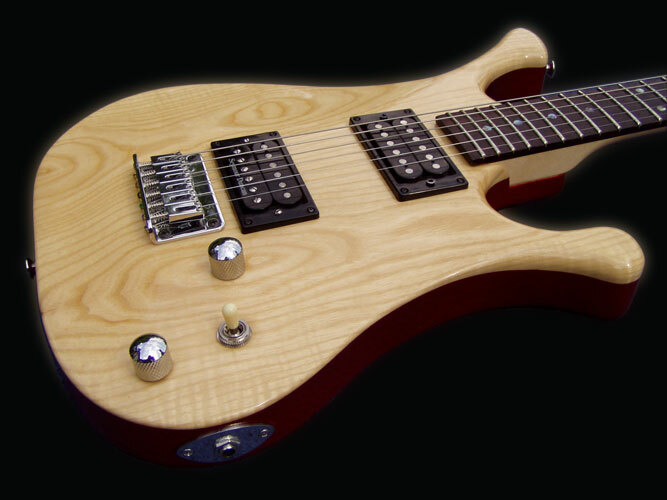 Controls is traditional excepting tone shades, which is effective for just necks pickup.